Our Hemptealicious™ Pure Hemp Tea combines exciting tastes with high levels of multiple cannabinoids. Each bag contains at least 25mg of CBD (cannabidiol). Our tea is made from 100% industrial hemp plant material, organically grown in Colorado, and is vegan. Hemp is rich in antioxidants, is a great source of protein, and is a whole plant food. 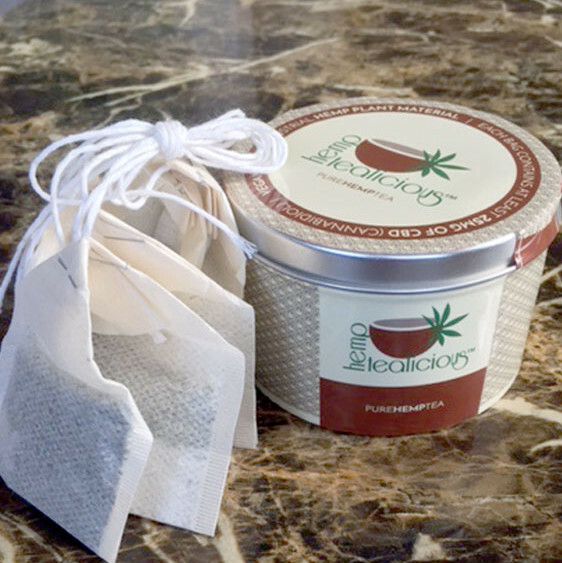 What can be better than sipping rich, flavorful tea that comes from the hemp plant? Our Pure Hemp Tea is a super food, touting many wonderful, healthy benefits. It’s rich in antioxidants, a great source of protein, and a whole plant food. It’s not just delicious . . . . it’s Hemptealicious!